At MD Connect™, we've developed a solution that objectively measures lead activity by service line and/or media channel and reports on actual patient contact with your Health System via phone calls or online form fills. 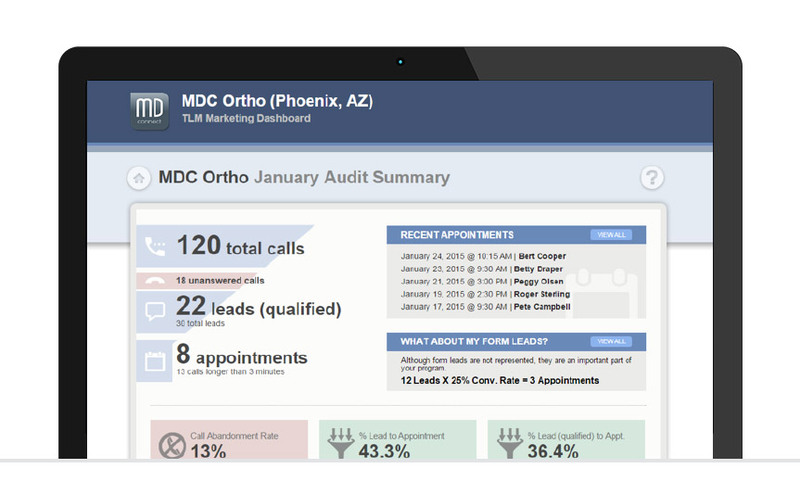 With MD Connect's Performance Portal™ Lead Tracking system, you can track all your Health System's service line marketing campaigns (print, radio, TV and digital) through one integrated, secure, web‐based portal. Compare your marketing programs and identify which is having the largest impact with our return on investment (ROI) summary. The platform integrates directly with objective lead tracking modalities (tracking phone numbers and coded online form submissions) that avoid the inaccuracies present with traditional “How did you hear about us?” lead attribution (as well as the annoyance of having to repeatedly ask your staff to bother patients with this question). Phone auditing and lead scoring services allow identification of actual booked appointments. We seamlessly integrate your financial data (specific advertising expenses) to provide a complete view of how your ads are performing. Recorded inbound calls, phone audit reports (with lead scoring) and more provide the tools necessary to help understand which leads are converting (to appointments) and why others are not. We can help you benchmark your results versus other comparable health systems and identify areas for improvement. You know how your marketing campaigns are performing? 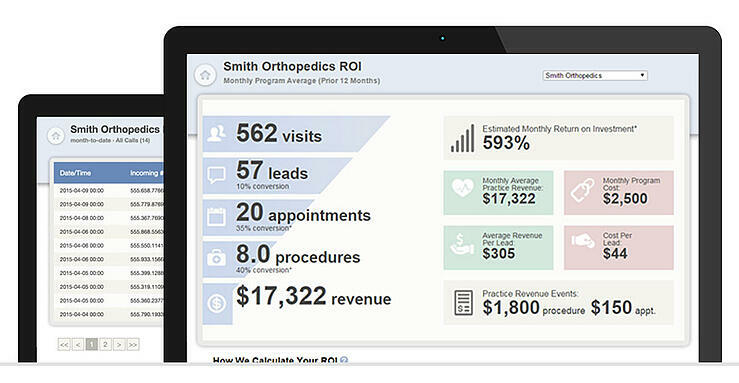 Get a better understanding of your marketing results and identify where your budget makes the biggest impact on your medical practice.